DizFanatic Episode #15 - "Valentines Lovey Dovey Episode!" 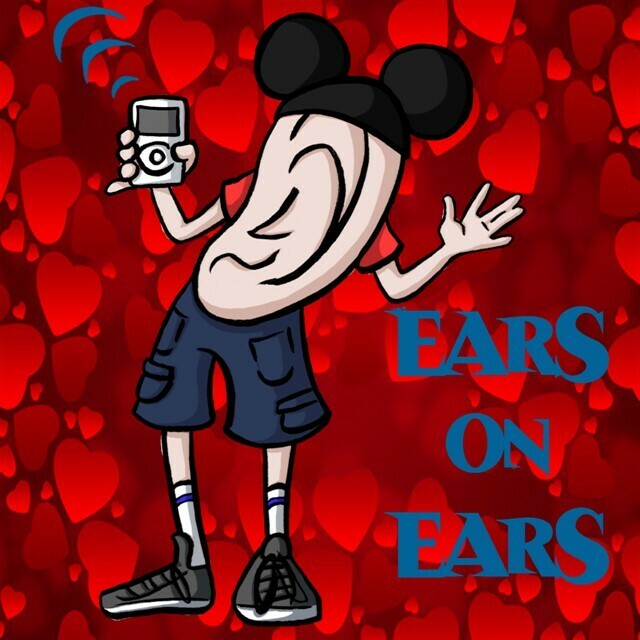 Welcome to Episode #15 of the DizFanatic "Ears On Ears" podcast! This is our "Lovey Dovey" episode. 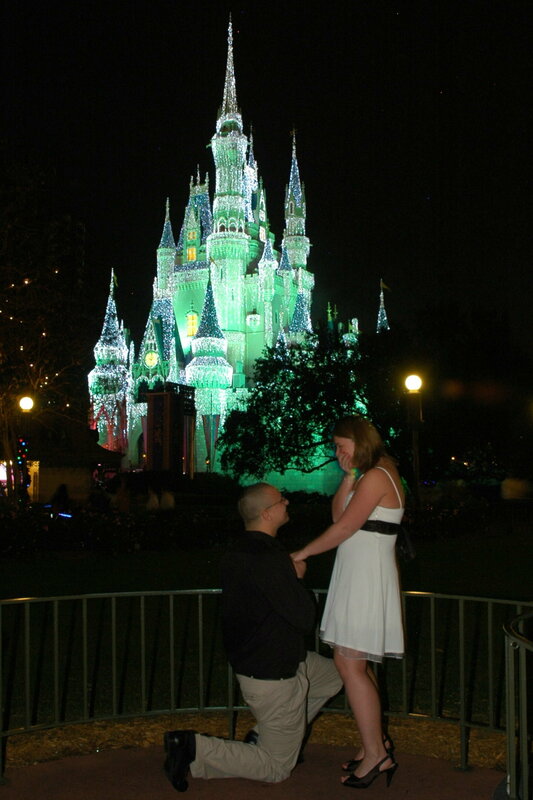 Thinking of popping the big question in Disney? Well some special friends have joined us to discuss getting engaged in Walt Disney World. We share their experiences and some advice on this magical subject. Of course we also talk a bit about some recent exciting Disney news. As promised, our guests sent in a brief overview of their stories. 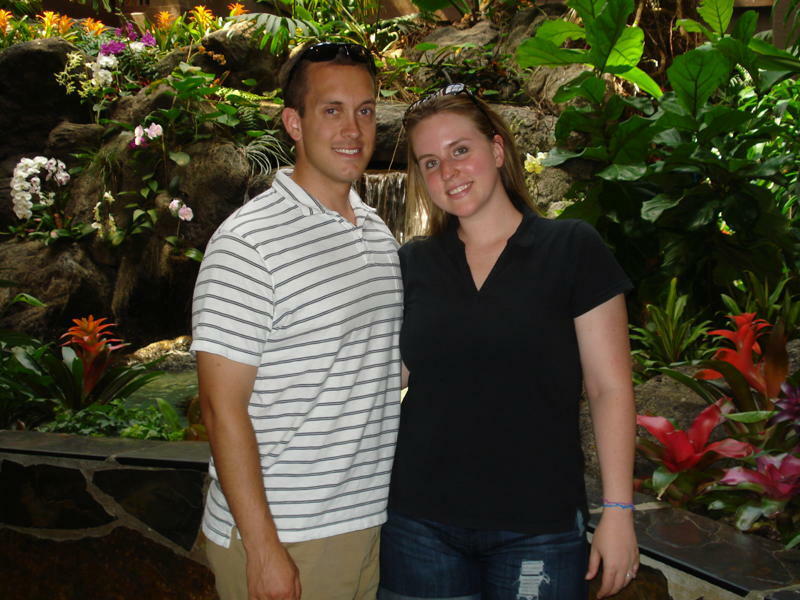 Of course it's more fun to hear all of the details, but here are some quick notations: Kristin & Cory: My fiance Cory is everything in a man that I always hoped I would have – he’s smart, he’s funny, he’s always there for me, he’s just amazing. We’ve been together for four years now – and we’re a great team. On our vacation to Disney World in July 2010, Cory proposed to me on the beach of the Polynesian Resort, right before the fireworks. He was so nervous! He got down on one knee, and told me that he wanted to spend the rest of his life with me. It had to be the most magical night of my life. Standing there, watching the fireworks surround the Magic Kingdom, with a brand new ring on my finger and a future to look forward to, was like a dream. It's like we were in another world and the fireworks were just for us! When Cory proposed I was so surprised, and so so happy! Disney is such a special place for us. My parents brought my sister and I to Disney every year as kids, and we have continued to go every year as adults. It has always been a special place to me and my family, even more so since my father passed away unexpectedly 2 years ago. It was his favorite place in the world and we feel like a piece of him is there on the Seven Seas Lagoon by the Magic Kingdom. This made the proposal location that much more meaningful. 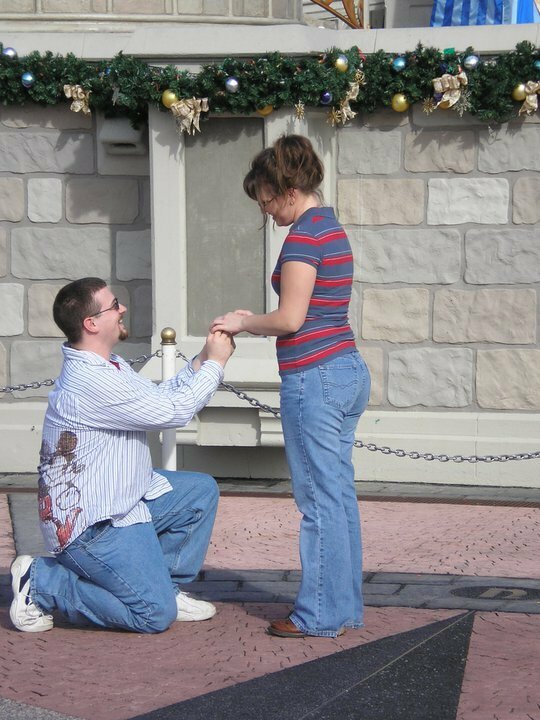 Cory wanted to propose in Disney because it was a special place to us, but knew that that particular location meant even more to me. It’s as if my dad was there with us, giving us his approval (and a pat on the back to Cory for choosing to propose in Disney) We are now planning our wedding in Disney World for November 2011. It is so very exciting and we just can’t wait. Thanks to Mike and Anna for having us on their amazing Disney podcast! We had a great time! See ya real soon! =) Kristen & Dave: Dave, his family, and I were in Disney World December 29-January 2. We went to Yachtsman Steakhouse for a New Years Eve/birthday dinner (his dad's birthday was December 31st and my 21st birthday was January 1). After dinner, we went to the Magic Kingdom for the fireworks. After the fireworks, we walked up closer to Cinderella's Castle. I had wanted to get our picture taken the entire time we were in Disney in front of Cinderella's Castle. Dave kept putting it off... until that night. He took me to a place on the side of the castle where there was a Photopass photographer. We were standing there around 12:10am. I was getting so frustrated because Dave wouldn't look towards the camera to have our picture taken. He kept looking at me and trying to get me to face him. Finally, I turned towards him. Out of nowhere, he grabbed my hand and dropped to one knee. I was completely speechless and started crying. The Magic Kingdom was loud that night with a DJ playing in the background. I don't remember the music or the people around. I just remember looking down at him on one knee. It felt as if it was just Dave and I. Everything around me completely disappeared. It was the most magical moment of my life. I'm so happy I found my prince charming. And, dreams really do come true. And, the link to the video :) http://www.youtube.com/watch?v=cUd0EO0xaAY And finally, Adam & Denise who were unable to be with us: We got engaged in January 2008. We were both in college working part time retail jobs, so we weren't making very much money. We had to drive down, because there was no way we could afford a flight, a car, park tickets, meals, gas, and the rest. So we decided to drive straight through overnight because we just wanted to get down there ASAP. We were absolutely exhausted the next day, and spent most of it sleeping. We stayed with my aunt and uncle who live about 45 minutes from the parks. We went to the Magic Kingdom a few days later, and we went with my aunt and uncle who knew what was about to happen. Before we got to the Magic Kingdom, we stopped for a big breakfast. It was a nice way to start the day, but I was already jittery and stopping to eat just made me more anxious! When we got to the park, we spent some time walking down Main Street and even got our picture with Daisy Duck. Denise said later that she thought I was going to pop the question that day, but I kind of threw her off by stopping to take pictures and such on the way to the castle. Also, she said she was looking for a ring box but couldn't find one so that confused her, too. The truth was that I was carrying the ring around in my pants pocket, which made me extremely nervous. I was checking my pocket about every 30 seconds to make sure it was still there! When we got to the Castle, there was already a small crowd of people taking pictures, so we had to wait for a little bit to get our chance in front of the Castle. It finally came down to Denise and I and another family. The gentleman from the other family asked us if we wanted to go next, and I'm usually always courteous in this situation and allow the other person to go first, but in this case I said "Yes, thank you." So we gave our camera to my aunt who said she would take the picture, and took our place in front of the castle. When we were up there, I dropped to one knee and asked her to be my princess. She said yes, of course. When it was over, we walked back to my aunt and uncle and the gentleman from the other family told us he was really glad he let us go first! There were also more people there that came as the whole thing happened, and one lady was even crying! It was a pretty awesome thing, and it's a memory we'll share forever. What was the first thing we did after getting engaged? We hopped on the newly refurbed Haunted Mansion! Nothing starts off a life of togetherness like the Haunted Mansion! We spent most of the rest of the day enjoying the Magic Kingdom. At dinnertime, my aunt and uncle treated us to a meal at the Kona Cafe in the Polynesian. It was a wonderful meal, and it's made that restaurant one of my personal favorites ever since. While we were eating, it rained pretty hard outside. That was perfect, because we missed all the weather and by the time dinner was over a lot of people had actually cleared out of the park. After dinner, we decided to take the monorail over to Epcot (we had a Park Hopper option on our tickets). Denise had never been to Epcot, and I wanted to take some time and show her some of the countries. We had a really romantic stroll around World Showcase and had a blast walking through some of the shops. After that, we went back over to the Magic Kingdom for SpectroMagic and Wishes. It was a wonderful day full of memories and magic, and it was special that we got to spend some of it with family also. If I have one piece of advice to give for someone planning on doing this, I'd have to say that you need to pick something special. The Castle may not be the perfect spot to do this, even though it might be tempting to do it there. WDW is full of romantic and fun things, so you have to pick the one thing that you and your special someone relate to. I can't really recommend one particular spot because there are so many, but I'm sure there has to be one that fits just right. Do some research and see what WDW has to offer. I'm sure you'll find the right place! This episode of the DizFanatic Podcast is sponsored by WDWTravels.com which is a full service travel company specializing in Disney vacations. Visit http://WDWTravels.com for a free quote today! Please visit our main website site http://DizFanatic.com for more information. Friend us on Facebook, follow us on Twitter and check out our Youtube channel. Just search for DizFanatic. As always, feel free to email us at Mike@DizFanatic.com or leave us a voicemail on Skype. Thanks for joining us! DizFanatic Episode #1 "introduction to the Ears on Ears Podcast"